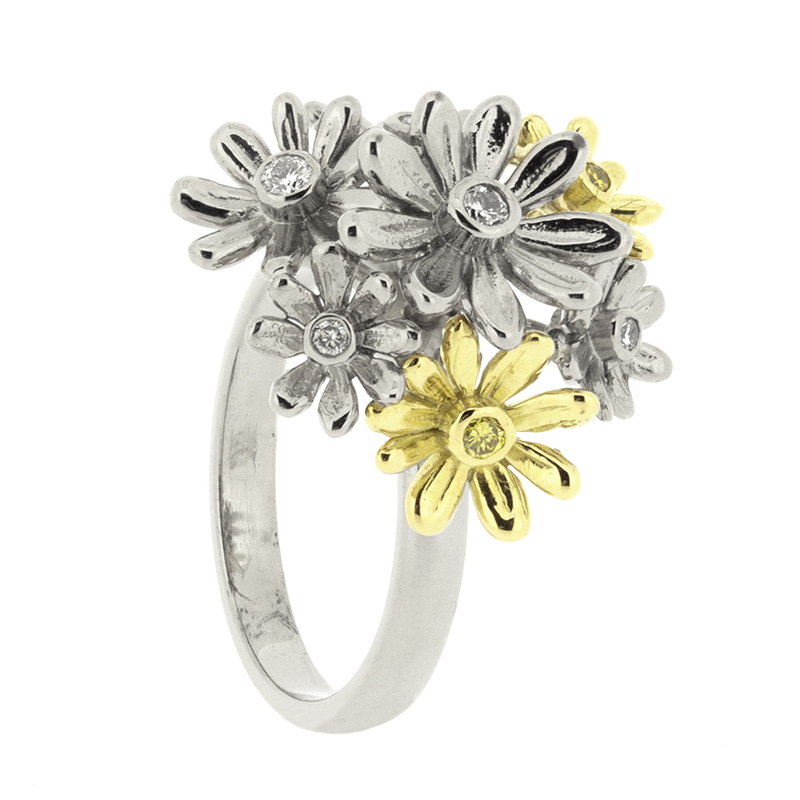 18ct yellow and white gold and white and yellow diamond Daisy cluster ring on a D-shaped band. 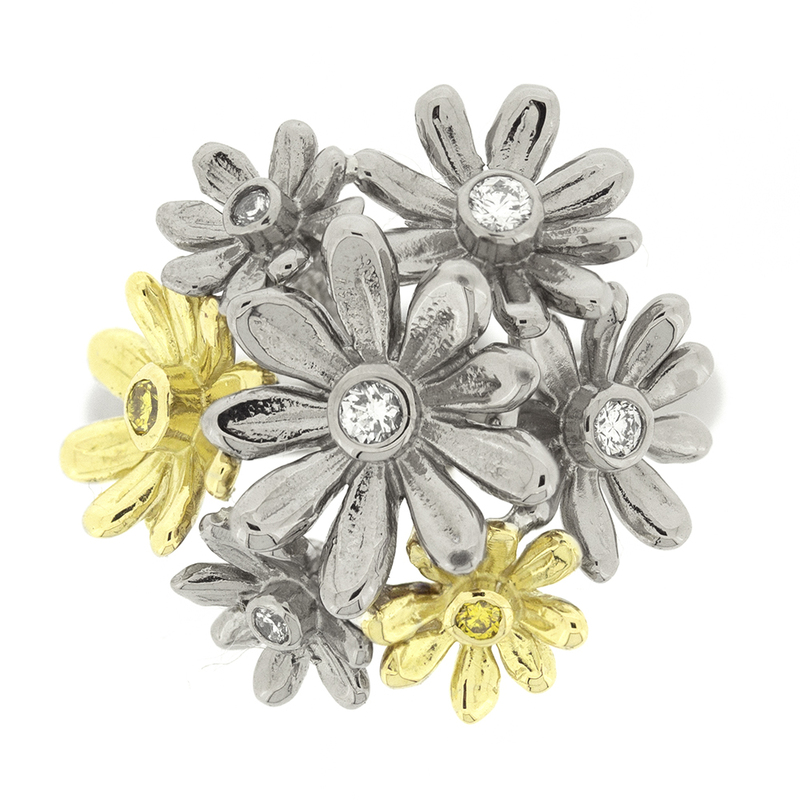 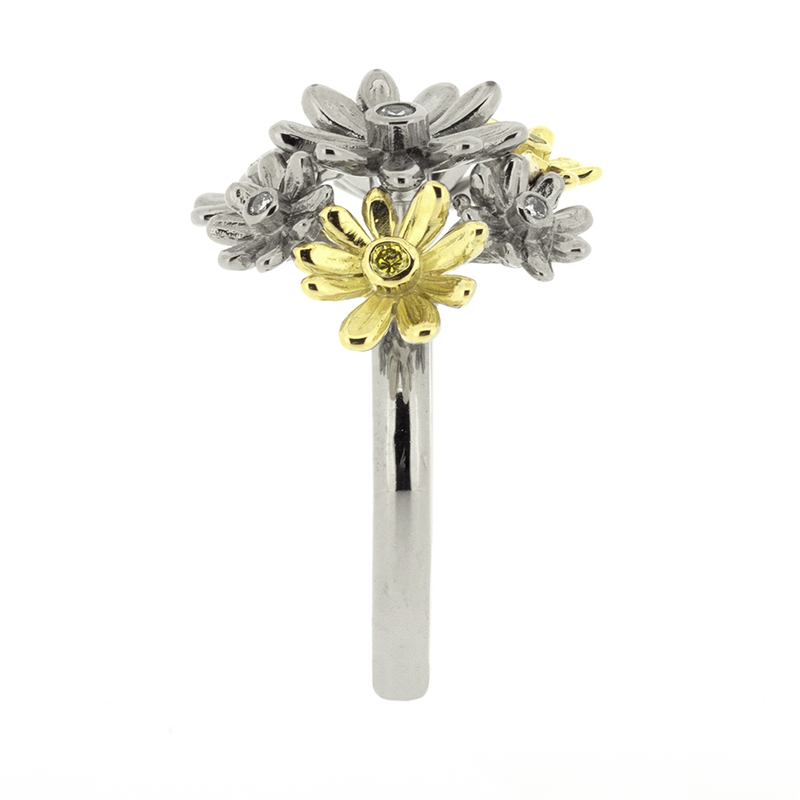 What a statement this bunch of daisies would look on your finger! 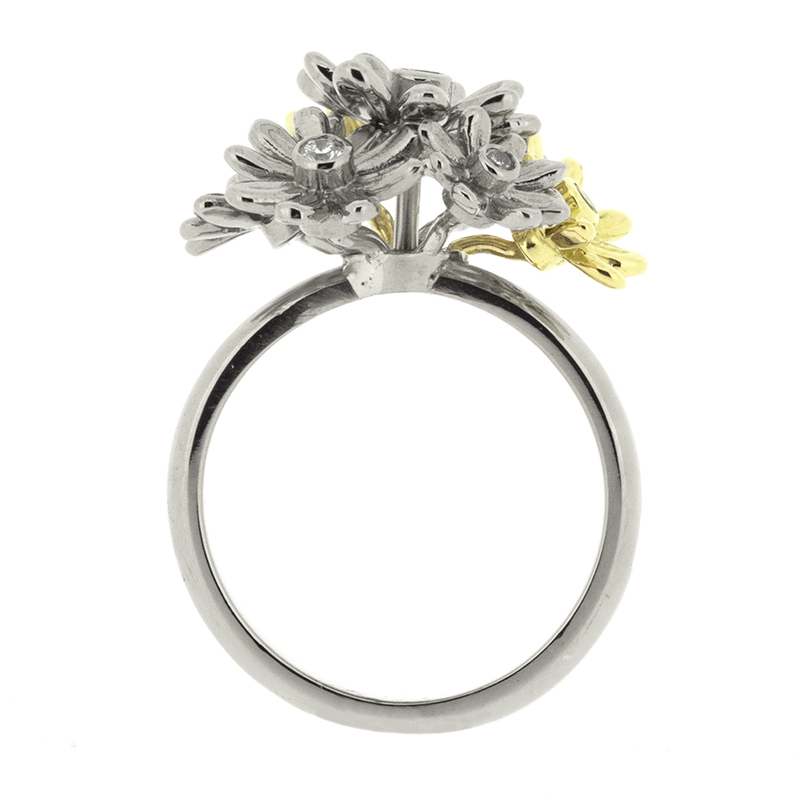 Total diamond weight 0.13ct.